The media and entertainment industry is no stranger to cyberattacks. It started with the Sony Pictures Entertainment breach in 2014 where 40 gigabytes of sensitive company data, including private emails, were stolen and posted online. Let’s also not forget that last year when Netflix refused to pay a ransom, hackers released ten episodes of Season 5’s “Orange Is the New Black” over a month before its premiere. A few short months later, HBO also had a leak where multiple episodes of unreleased shows and scripts were posted online, including the first five episodes of Season 7’s “Game of Thrones”. Hackers claimed to have 1.5 terabytes of stolen digital content in their ransom note.3 And according to a 2016 nScreenMedia report, 28% of media organizations admit having experienced some kind of attack. It’s a nightmare for all involved with significant revenue lost. According to the 19th Annual Global CEO Survey by PricewaterhouseCoopers, which surveyed the opinions of 1,409 chief executives in 83 countries, 66 percent of media and entertainment CEOs say cybersecurity could threaten growth at the companies they run. 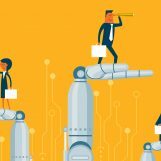 However, 89 percent of chief executives find technological advances concerning and the one to “influence stakeholder expectations”, while 59 percent state that they’re considering making significant changes in how they use technology to meet those expectations. There is now the ability to access, process, and transfer huge amounts of data across multiple platforms at incredible speeds to a much wider audience than ever before. 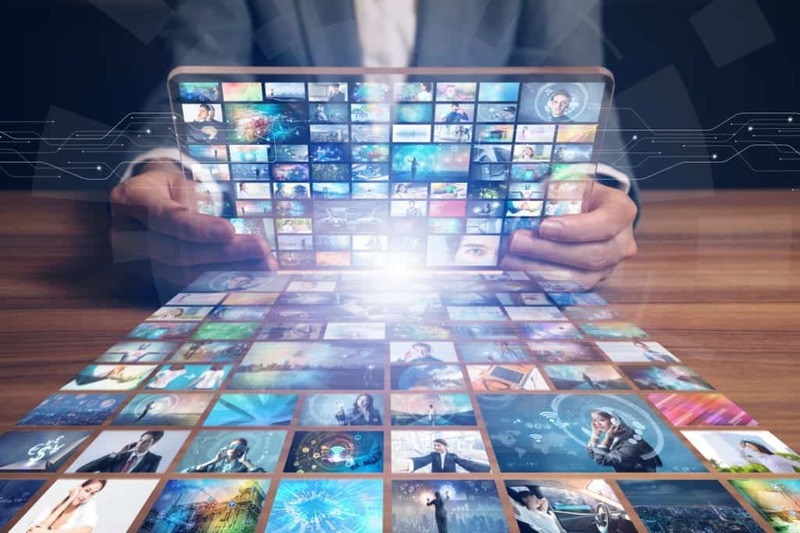 Portable devices and developing distribution channels, such as OTT delivery that allows a video to be played on any device, social media, and subscription video on demand (SVOD) cater to a wide range of tastes in a connected world. Yet, by being so connected there is also an increase in security challenges. Breaches can begin with a phishing attack where emails sent to employees contain malicious attachments or links to websites where malware is unknowingly downloaded to the network. Hackers also look for PCs running older versions of Window that they can easily break into. If security measures aren’t in place, hackers can get into backend databases through a company website and then map a network where they can find passwords that lead to protected areas that contain sensitive data that they can then steal, destroy, or hold hostage for a ransom payment. Companies within the entire entertainment sector need to become more vigilant about the systems, protocols, and practices they have in place. TechWorld interviewed ethical hacker Ralph Echemendia, who was shocked by the entertainment industry’s lack of security or cybersecurity insurance to cover a cyber breach. The first few weekends of a movie’s box office release are crucial in determining its success. If any part of it gets out prior to its box office release date, it could cost “hundreds of millions of dollars” to the company.5 Hackers know how lucrative the entertainment industry is and its focus on premiere dates. Cybersecurity protection over intellectual property should be a necessity and considered money well spent in preventing such attacks. So, how can the media and entertainment industry fight against cyberattacks? With the help of cloud technology. All data must be protected while creating content that the viewing audience has come to expect, along with the expectation that that content is also being delivered securely. Cloud-based technology solutions provide remote rights management storage in a connected environment with instant access to current real-time information, such as availabilities and financials, while substantially reducing the spending of capital expenditure and fixed costs. A full-time team of security experts actively manages the security environment and regularly works toward finding and delivering product improvement. There are also multi-DRM (digital rights management) based security solutions available that can protect delivery of video content. Some cloud technology also prevents piracy by locating, authenticating, and eliminating illegal online content streaming. Digital content needs to be both secure and secured. Production networks, storage locations, corporate IT, and customer data should be access controlled and continuously monitored for intrusion. Stored data and media content in transit across networks, systems, and users should be properly encrypted with encryption keys changed frequently. Proper encryption prevents content from being seen and easily read if intercepted. Emails that contain malicious attachments or websites that contain malware should be blocked while not impeding the creative process. Any sign of a threat should be quickly detected, contained, mitigated, and addressed to prevent any compromise to the company. Avoid being the next target in the entertainment industry and instead make headlines by being one of the most secure. Fight back. Ryan Eisenacher is the content marketing manager at FilmTrack, the leading SaaS rights management solution for the media & entertainment industry. With over eight years of experience leading content strategy and implementation for both B2B and B2C industries, she has worked in startup, agency, and nonprofit environments, developing social media and content marketing campaigns for Goodwill Industries, The National Disaster Search Dog Foundation, The San Diego Union Tribune, and more.